Jack Tatum, aka Wild Nothing, enters into a new dimension sonically with his latest project Indigo. These hypnotic, silver-toned vocals and dreamy synths create a nostalgic listening experience reminiscent of ’80s Pop. Tatum began his debut in 2010 with Gemini, an album recorded in his bedroom whilst he was still attending Virginia Tech University. What was then an intimate recording session intended for Tatum’s ears only, eventually blossomed into the unimaginable – a music career, critical acclaim from Billboard, Pitchfork and iTunes, touring, an international fan-base. As Tatum’s endeavours into the world of synth-pop grew, he continued to experiment with his sound whilst still maintaining its retro feel with chiming riffs, celestial drum machines, echoey vocals and atmospheric synths. The indistinguishable sound of Gemini is nestled somewhere between Chillwave and Beachy Indie. With its day-dream-like murmurings of sweet-nothings and candy-coated pessimism, it was an album that seemingly drifted in out of the unconscious longings of a love-struck youth. Gemini’s tone of star-gazed bewilderment was not carried over into Nocturn as such, instead, it had a more summery, upbeat, vibe to it, with lyrics that toy with the notion of concealed desire. Tatum sings on ‘Shadow’ with a hopeful longing “I’d go with you if you asked me to”. He later recoils “But we wouldn’t get too far / Two strangers in the dark,” reminding us of that all too familiar resignation to a fantasy. This lyrical detachment continues throughout the album. But Life of Pause is perhaps the most experimental of all Tatum’s project, as it bears resemblance to Fleetwood Mac, Talking Heads, and Bombay Bicycle Club. Tatum achieved a far more soulful, galactic-disco sound with Life of Pause. His departure into the unfamiliar would ultimately have him return to his Gemini glory days with Indigo, however, since Life of Pause has often received criticism for its lyrical flatness and predictability which makes its emotional intent unclear, even despite its impressive psychedelic-funk sound. The concept of vacancy is something that Tatum intentionally plays with throughout Life of Pause – a sentiment that certainly peaks through with ‘TV Queen’, a track that entertains the notion of a simulated romance and an artificial closeness. When Tatum sings “When you walk out of that box / Out of that screen you’re real to me,” it prefigures as a sensational, albeit, an empty satire of the “Commercial Gaze”. Indigo’s well polished, hi-fi sound is best described as a reawakening. Released in the late summer of 2018, this album looks back but does so with a freshness that allows it to avoid being mistaken as a carbon-copy of Gemini. As with the majority of Tatum’s projects, Indigo has an ’80s Pop-inspired feel to it, whilst it also makes some striking references to the modern digital-age – the title of the album itself refers to the glow of a phone screen. Undoubtedly, it is this interplay between technology and the emotions that make for a rather unique listening experience. Indigo is a true testament to Tatum’s artistry, with it, he has really been able to reach a definitive sound. Needless to say, this album is mellow, contagious, full of texture, and well worth a listen. Indigo is available now via Captured Tracks. 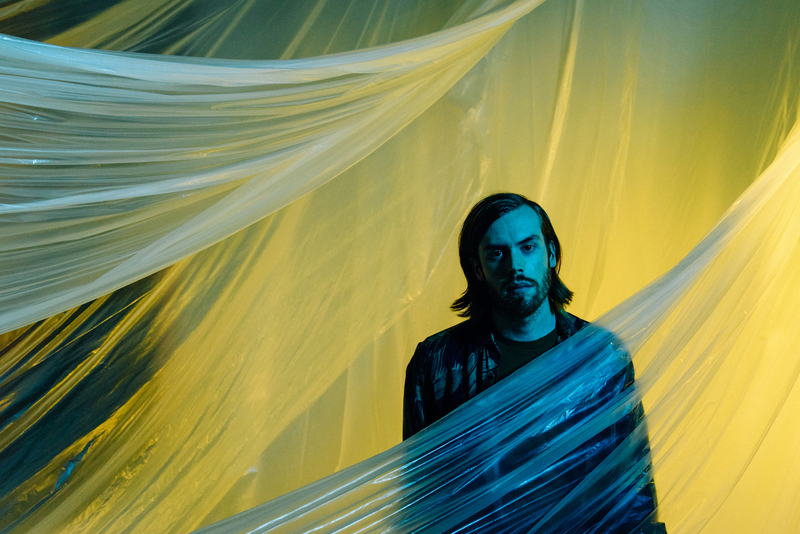 Wild Nothing are currently on tour and have added six UK dates for February 2019. More ticket info is available on their website. BA Literature Student at U.S, blogger, keen interest in art and culture.